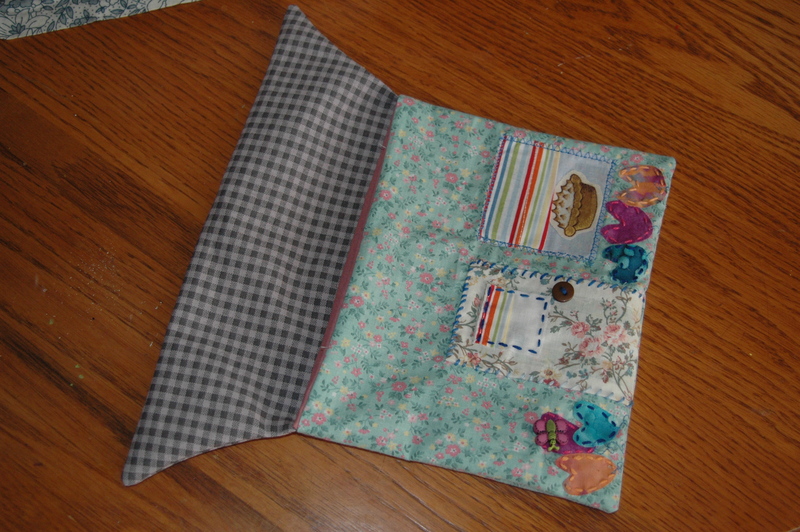 Here is a fabric house pouch that I sewed for a swap that I hosted on Swap-bot.com. That’s right, yet another craft or form of art that I love (and can’t find much time to do). 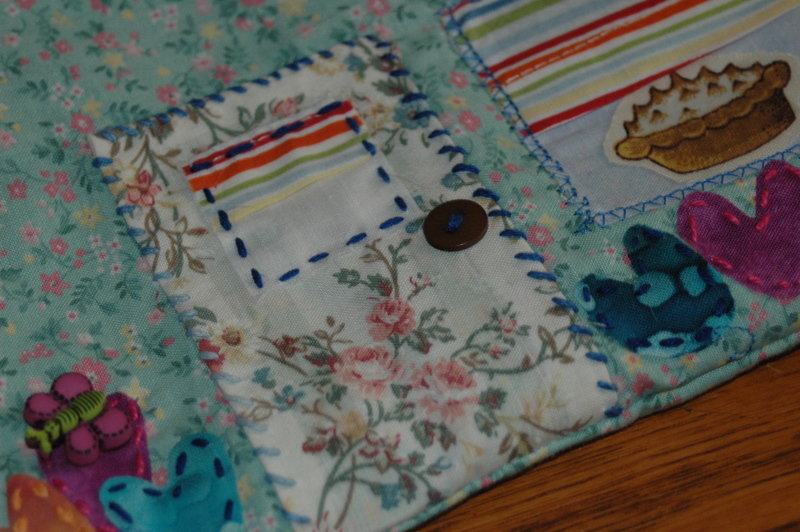 I don’t host swaps that often anymore, but used to host a ton of quilting and sewing swaps. 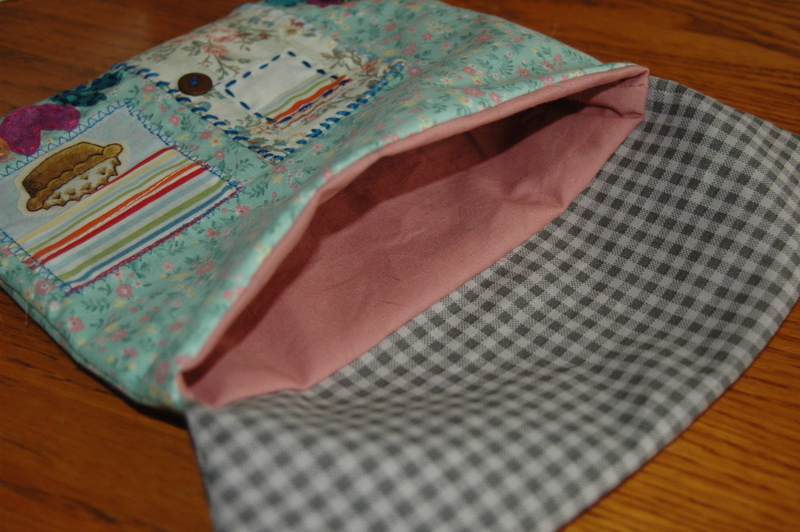 I stopped doing so because the quality of sewing I received in return wasn’t so hot, and a lot of people weren’t into the sewing ones anymore. So after a couple of years I figured what the heck I’d host again. This is the one that I just sent my partner yesterday. The one that I received in the mail? Yep, that same quality that I remembered from a couple of years ago. Live and learn I guess. I WON’T be hosting another anytime soon. 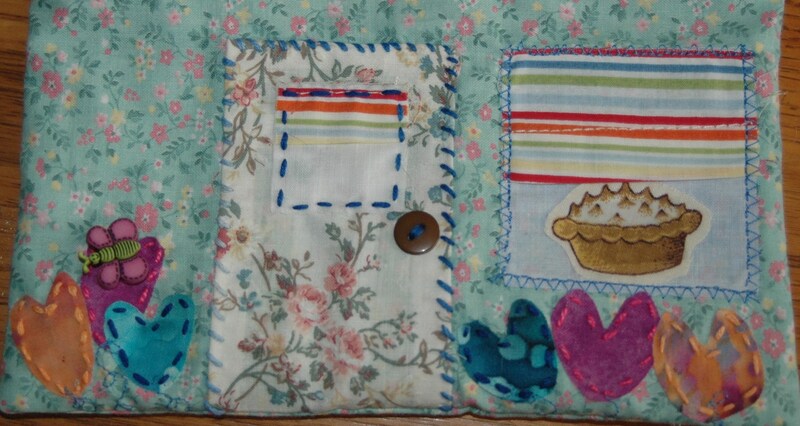 Don’t get me wrong, I love Swap-bot.com, but lately it’s become a lot of simply trading pre-made $$ store items, supplies, or paper-made artsy stuff like ATC’s (which I’m not really that into unless they are hand-drawn or zentangle). I hope that my partner likes this one!